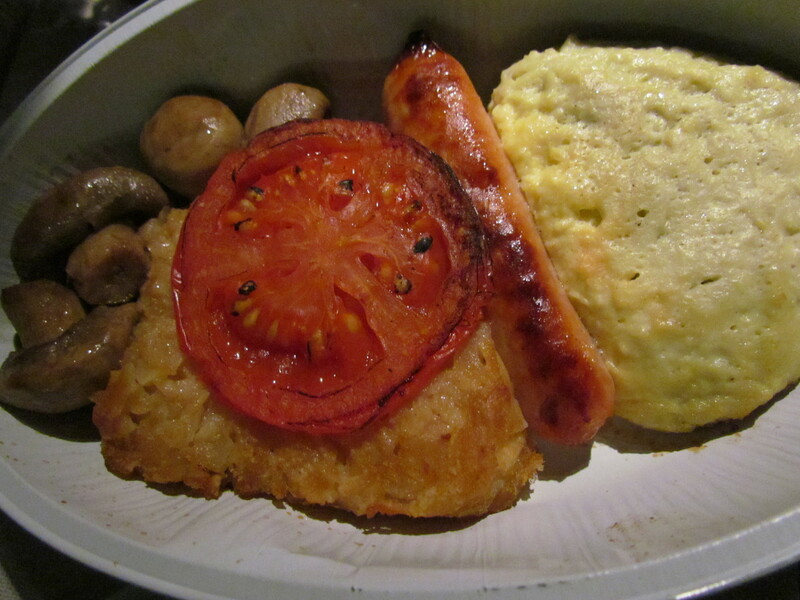 I have always been a fan of Breakfast at BritishAirways. In the numerous times I have travelled, I have always looked forward to it. The lunches & Dinners that I have had were mostly good & some memorable. But the breakfast has always scored over the other meals in my mind. The Breakfast consisted of a ‘no frills’ omelet with less salt ( that is always the case in any non Indian setting) & hint of green bell pepper & tiny specs of onion. The Omelet was well done but soft, not brittle & had a simple yet good taste & feel to it. This was served along with a full Grilled tomato that of course did not have salt added to it. The Rounded patty of potato was very good – crispy on the outside, soft & lumpy inside. The potato was never fully mashed & hence it was lumpy. Very good. The meaty kabab was the star of the show. It was not juicy unlike all other good kababs, but dry. It had a Shammi Kabab kind of texture, subtle flavors & taste. Needless to say that this was accompanied with fresh fruit juice. 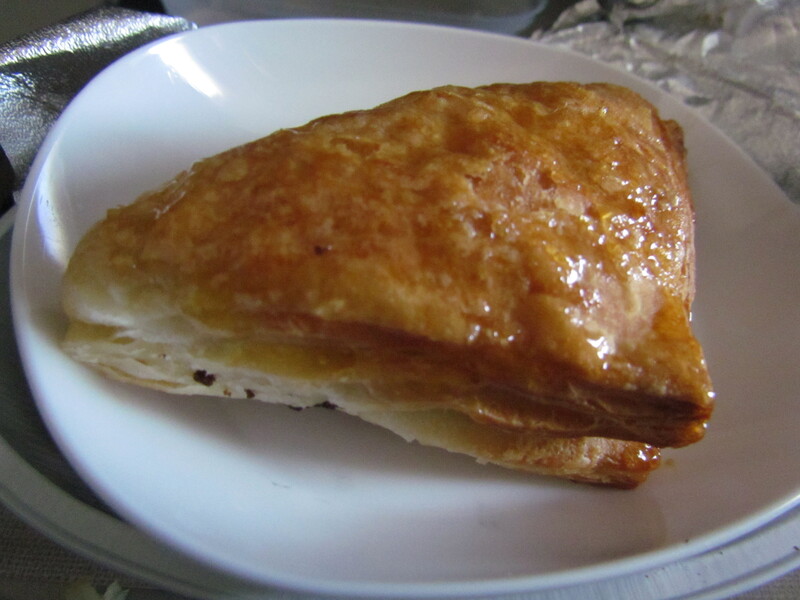 A Danish Pastry was served as dessert. It was crispy on the outer, glazed with honey on the top, it seemed to be having millions of layers within & a rich chocolate filling in the center. Liked it a lot. Hours later it was meal time again. I did something that I never do. 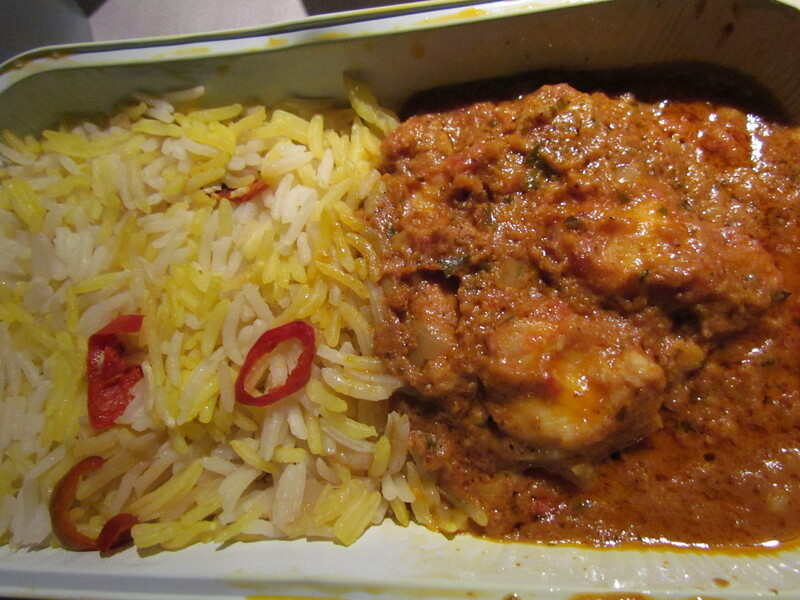 I did not request for a Continental cuisine but settled for Butter Chicken – figured out that this is served in Flights ex London Heathrow Airport – It was simply Awesome. One of the best Butter Chickens I have had in maybe the last 2 yrs. Cooked at London Kitchen!!! I was stunned, shocked (pleasantly) how they cud make it so good. Better than most of the orangish tomatoee Butter Chicken varieties available in Delhi. Perfectly tandoored boneless chicken pieces, perfectly tempered gravy, spicy & a bit hot as well. As good as it cud get. The long grain basmati rice pulao that was served had slices of red chillies on it that were flavorful as well as hot!!! 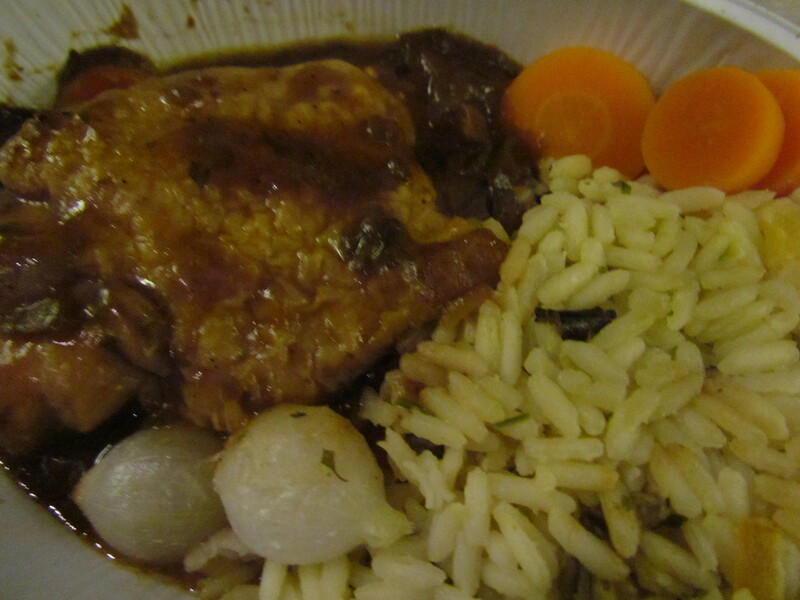 Independent strands of rice but melt in the mouth, flavorful & very tasty. Wild Gourmet Lemon Posset was too good as dessert. It had a texture like thick yoghurt, a strong lemon based sour creamy taste. It came garnished with chocolate powder. Wow. It had Cool Grilled marinated mushrooms. These were not at all bland as I had expected them to be. 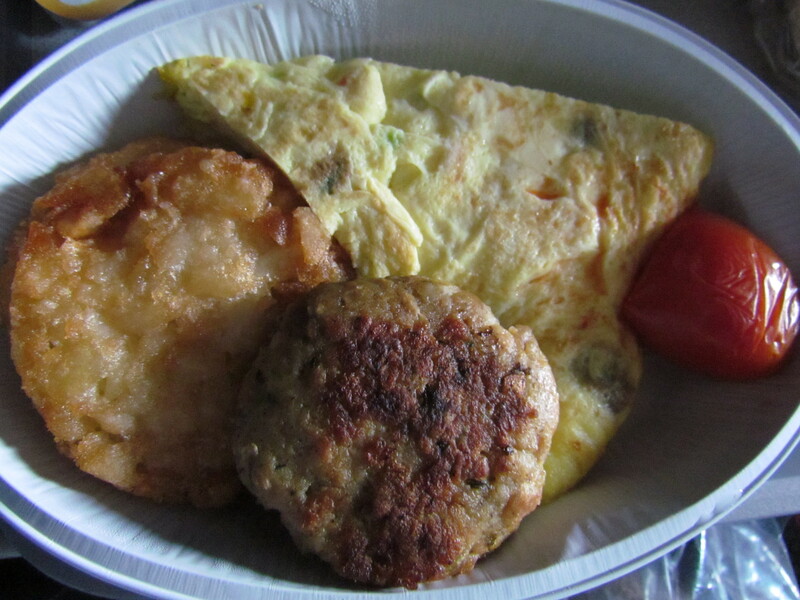 Hash brown (aloo Tikka patty u may say) was crunchy outside & lumpy within – enjoyable. Grilled tomato was surely needed to balance off the butter / oil in the rest. An innocent looking sausage that was not lumpy inside pleasantly surprised me. It was made out of a meat paste & looked exactly like the usual bland packed sausages that are available these days in Supermarket chains in India. However, inspite of the texture, this sausage was unexpectedly good to taste & had superb flavors. An omelet that had no frills, had suboptimal salt (that is how it is in the rest of the world) & great to taste. There was almost had nothing else in the omelet. 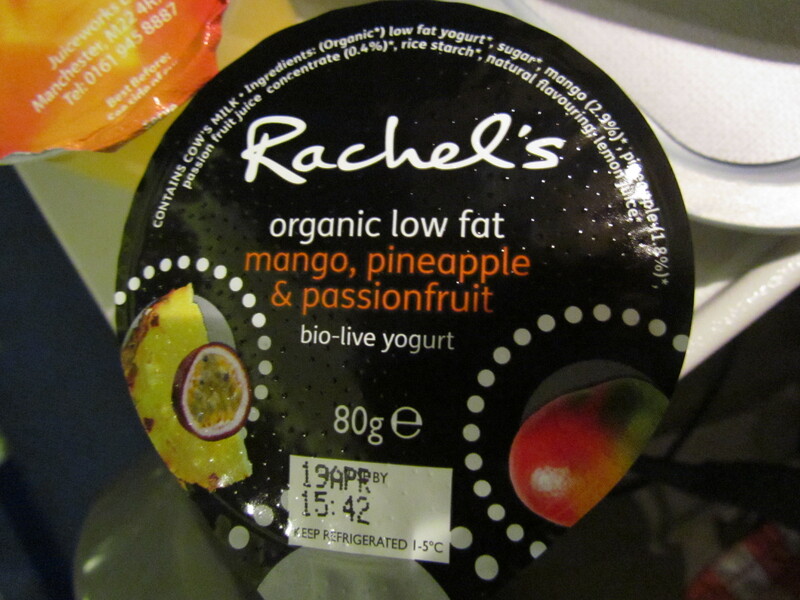 We were also served a Mango , Passion Fruit & Pineapple yoghurt. This one was good to taste , much better than the nestle yoghurt that we can buy here at Gurgaon. It had mango & pineapple pieces in it too. ‘Bio – Live’ mentioned on the packaging sounded interesting. 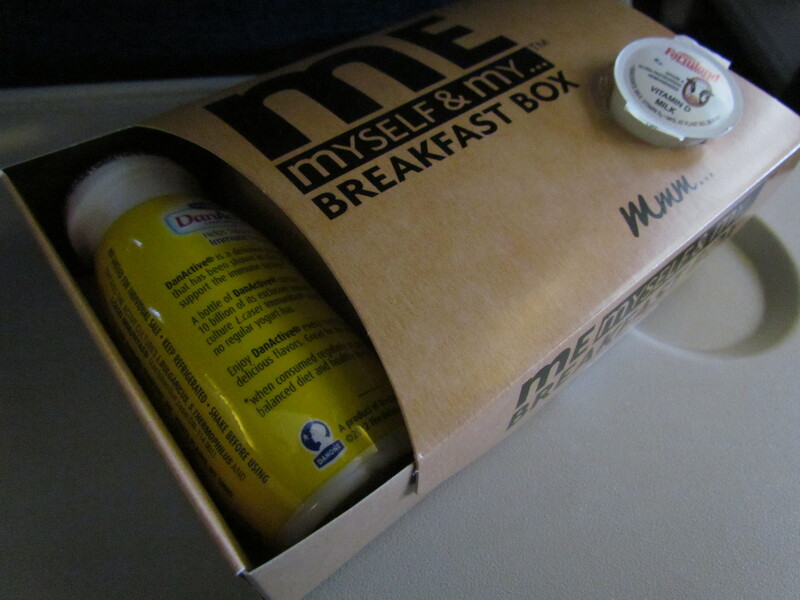 What looked super cool was a Smart packaging box for breakfast that said ‘Me, Myself & my Breakfast Box’. 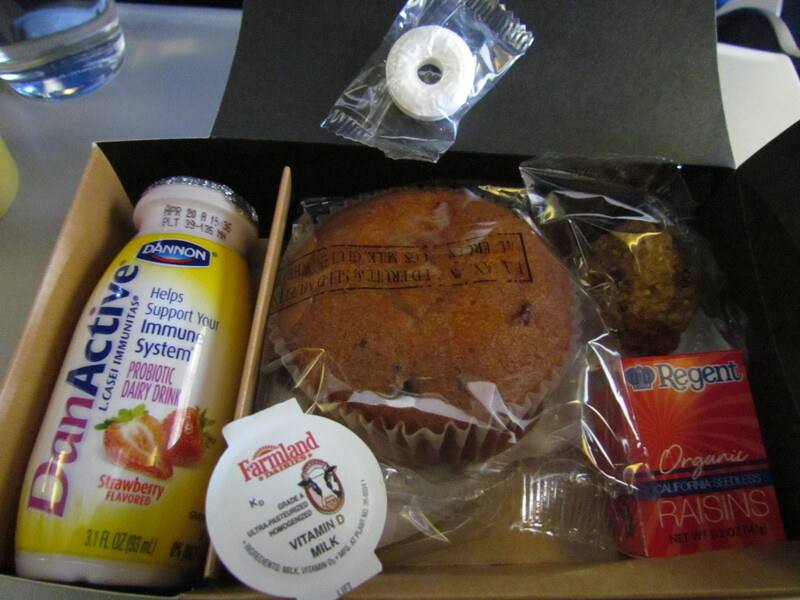 Contents of the smart box were Dannon Probiotic dairy drink that claimed to ‘help support my immune system’!!!!! What was that???????? A good standard sized muffin, A wow tiny muffin (top right corner in the picture) that was lumpy & very flavorful. Infact it tasted unlike a muffin. It was not fluffy & was very fruity instead. Raisins in a small box were cool as well. That was it for a series of 4 of my flights on British Airways. Will keep updating from time to time.